The environmental “green” movement has infiltrated all aspects of daily life. The mantra “reuse, reduce, and recycle” has become commonplace … from schools to offices, to restaurants. At work and at play, consumers are reminded of the importance of environmental conservation and protection. The construction industry is no exception. Building green, energy-efficient and environmentally friendly buildings are the new norm. As an owner, building an eco-friendly structure can be economically beneficial, not simply because of energy savings, but also because of certain incentives provided by the government. 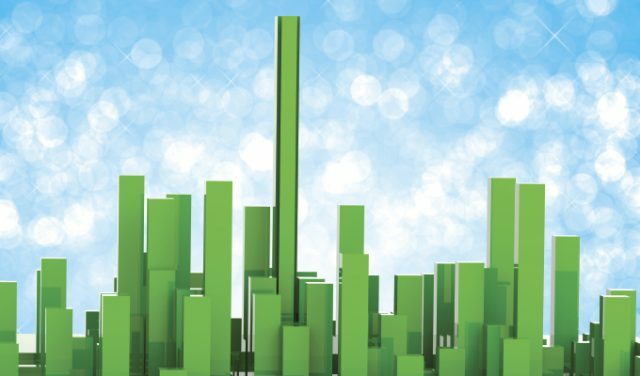 The proliferation of green building has been spearheaded by U.S. Green Building Council (USGBC) and its Leadership in Energy and Environmental Design (LEED) Green Building Rating System. The USGBC describes LEED an internationally recognized green building certification system. Established by the USGBC in March 2000, the LEED certification system contains guidelines for building owners and operators, equipping them with the ability to formulate methodologies and systems to create and ultimately implement quantifiable green building design, construction, operations, and maintenance objectives. While the LEED certification system is a huge step in the right direction of promoting eco-friendly construction which minimizes the carbon footprint that is left on the planet, as it is a new and evolving program, and not without its hiccups. Additionally, as with any new regulatory program, there are a host of legal considerations which arise. One major concern that owners must take into consideration when working with LEED certification is to make sure from the inception of the project that all parties are clear as to which party is to be responsible for LEED certification. This is very important for many reasons but it is particularly significant if tax incentives are tied to receiving LEED certification. The best and most efficient way to deal with this issue is simple … put it in writing. Making sure the construction contract clearly and precisely defines the role of the parties, including but not limited to the owner, the contractor, and the design professionals, regarding LEED certification, takes the guesswork out of this significant issue. By way of example, AIA document B101-2007, between an owner and an architect contains Section 3.2.3 which provides that during the design phase the architect will discuss “…the feasibility of incorporating environmentally friendly responsible design approaches…” Section 3.2.5.1 goes on to state that the architect “… shall consider environmentally responsible design alternatives, such as material choices and building orientation.” Notwithstanding these provisions, it is an industry-wide rule that green certification is considered an “additional” service, and beyond the scope of traditional services as provided for in a basic construction contract. So what should parties do? As stated, the only way to effectively minimize the risk of legal issues arising regarding LEED certification is to make sure that the contracts directly address and handle the issue. By making the contracts clear through specific assignments to one or more responsible parties, it will remove the guesswork from the equation which will ultimately put the project on a path for success. When a project is slated to begin, before any shovels break ground and before any final contracts are signed, the project owner should gather the design and development teams and determine, as a threshold matter, the manner in which green building strategies will be incorporated into the project. Once this decision is made and the parties have agreed in concept as to how green development on the project will be addressed, the legal professionals can craft the contract documents to fit with the parties objectives. Being green can be achieved if the proper steps are taken. Laura Colca is a partner in the law firm Goldberg Segalla, where she is a member of the leadership committee of the Corporate Services and Commercial Litigation practice group. Laura is also a member of the National Association of Women in Construction, as well as Professional Women in Construction. Laura has counseled countless clients on all types of business transactional matters, including representing owners and contractors on both private sector and public construction projects. She can be reached at 716.710.5840 or lcolca@goldbergsegalla.com. Next articleWhat Makes A Good or Bad Arbitrator?